New! 75HP ProStar Engine: The New 75 HP ProStar Engine delivers the power & acceleration you have been waiting for in a 60" RZR. With hallmark ProStar features like dual overhead cams, 4 valves per cylinder and electronic fuel injection we've upped the torque 14% and increased HP by 40% over the RZR S 800. 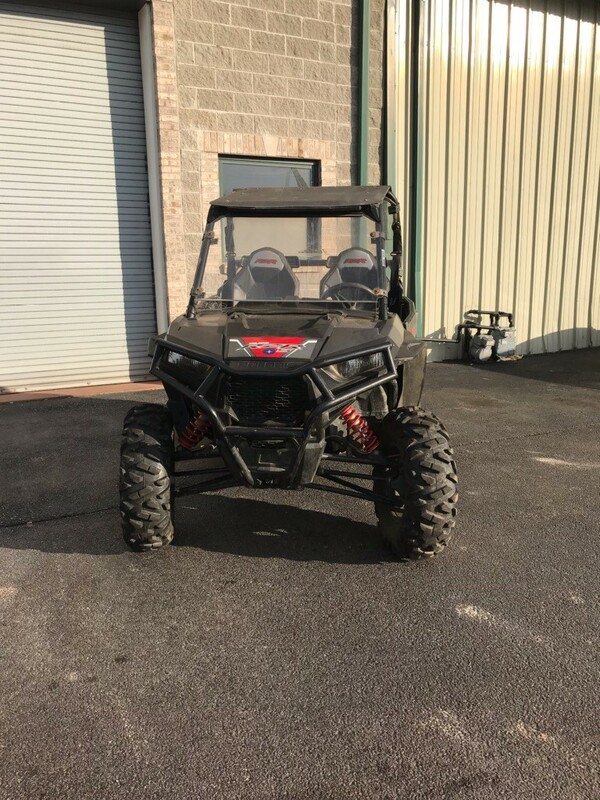 Horsepower to Weight for Trail Performance: The modest weight and 75HP ProStar engine in the All-New RZR S 900 boasts loads power and acceleration thanks to an incredible power to weight ratio of 6.2 HP to every 100 lbs of dry weight. The Fastest Accelerating 60" RZR Ever: 0 to 40 mph in just over 4 seconds made possible with the 75 HP ProStar engine. That's 13 percent faster than the RZR S 800 giving you lightning quick acceleration taking you from corner to corner on the trail. 2" Longer Wheelbase for a Smooth Ride: RZR S 900 features a 79" long wheelbase paired with front and rear Dual A-Arm suspension for the ultimate in trail performance. New 27" GBC Dirt Commander Tires: New 27" GBC Dirt Commander 8-ply Tires offer better side bite, stiffer sidewalls, better tracking through corners and increased durability. High Performance True on Demand All Wheel Drive System: The High Performance True On-Demand All-Wheel Drive System features a close ratio final drive to keep the front wheels pulling stronger and longer maximizing power delivery to the ground on even the loosest terrain. The reduction provides increased traction without sacrificing steering effort to provide unmatched point-and-shoot handling. New Bolstered Bucket Seats: New! Bolstered buckets seats with Dryseat technology keep you dry and comfortable for those long days behind the wheel. 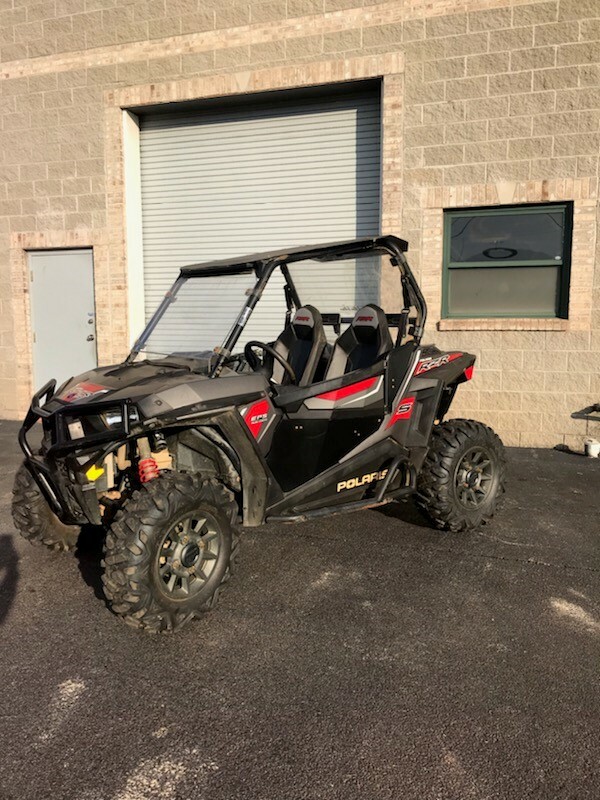 Improved Ergonomics: The new body style on the RZR S 900 gives you plenty of room to get in and get out and an additional 1" of leg room for all day comfort when piloting it down the trail. Factory Installed Doors: Factory installed doors offer loads of comfort and add a custom look to your RZR. Floor Cleanouts: Keep your new RZR S 900 clean with these new driver and passenger side removable floor drains. The design allows you to simply washout debris and mud quickly and easily. May be shown with additional modifications and/or accessories. 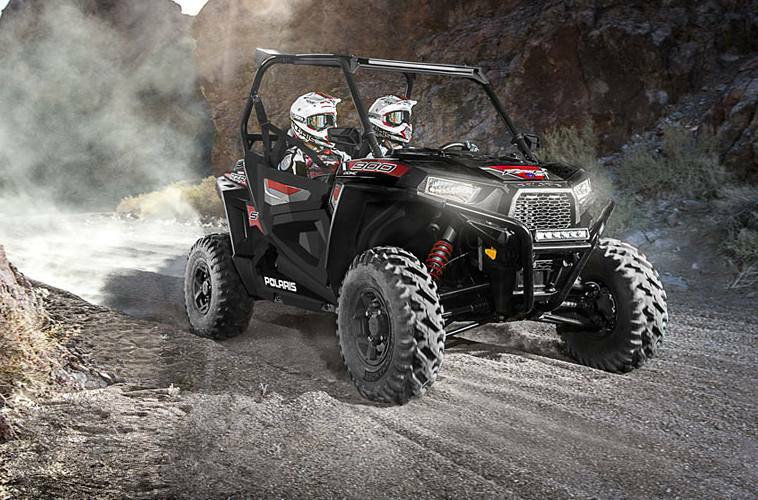 The Polaris RZR® can be hazardous to operate and is not intended for on-road use. Driver must be at least 16 years old with a valid driver’s license to operate. Passengers must be at least 12 years old. Drivers and passengers should always wear helmets, eye protection, and seat belts. Always use cab nets or doors (as equipped). Never engage in stunt driving, and avoid excessive speeds and sharp turns. Riding and alcohol / drugs don’t mix. All drivers should take a safety training course. Call 800-342-3764 for additional information. Check local laws before riding on trails. ©2016 Polaris Industries Inc.